An application framework for connecting people and parks. 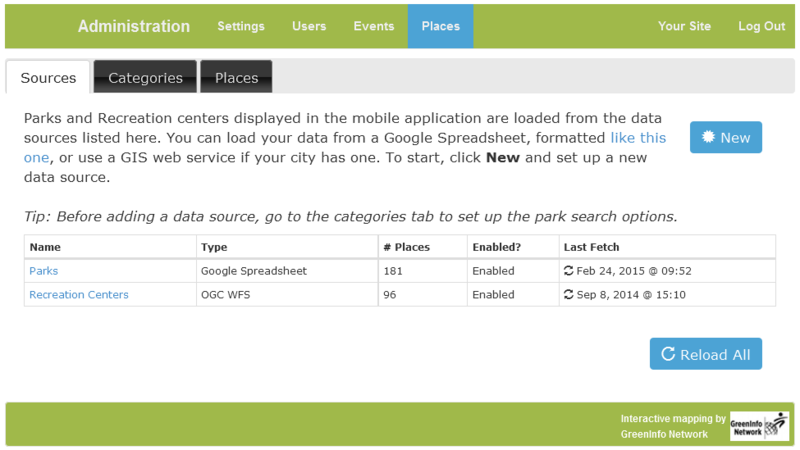 Quickly launch a fully-designed, ready to use mobile park and recreation event finder. Allow anyone with a smart phone to find nearby parks and events. Get Outside has tools that make it easy to aggregate data from multiple sources into one application. It uses open source technology and is built to run on common, low-cost web hosting services. See Get Outside in action for St. Paul, MN! This is a fully functional implementation of the Get Outside Toolkit, and supports all calendar activities and park places managed by the city's Parks and Recreation Department. A mobile friendly web site for easily viewing a map and lists of parks and events, with search by location, amenity and date - the web site is already fully styled and can be customized with agency logos, and is developed with responsive programming to adapt to desktop, tablet or phone devices. Loading parks and events from existing data sources. Customizing the look and feel of the application. A template that can be customized to quickly create park, activity and event data, if needed. GreenInfo Network is releasing Get Outside as a fully-functional prototype - we welcome feedback. 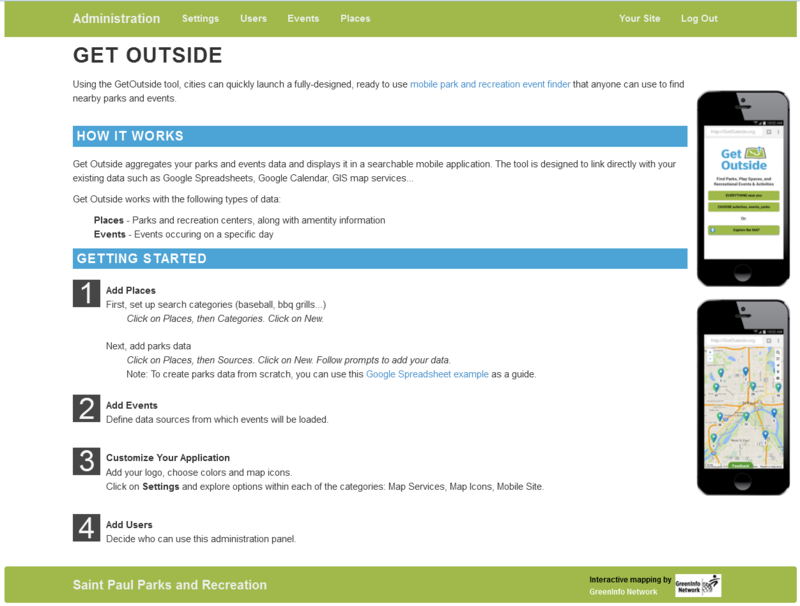 You can download Get Outside for free and find instructions for getting started on our Github page. Thanks for your interest in the Get Outside framework. We'd love to chat with you about how you can build your own Get Outside application.